The public are invited to show their support for The Rifles Regiment as they march through the streets of Leeds this weekend to exercise their right to the freedom of the city. On Saturday 22 June 300 Riflemen will take part in a Freedom Parade from 10.45am, starting in Millennium Square. 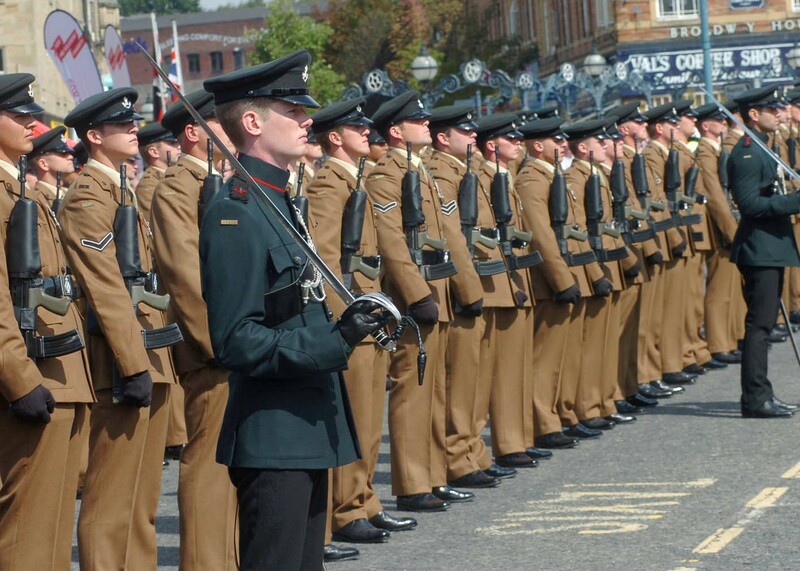 Leeds City Council is pleased to host the Rifles' Parade in the week leading up to Armed Forces Day on June 29. The parade will march down Calverley Street, the Headrow, along Vicar Lane to King Edward Street, to Briggate and then across the Headrow and back up Calverley Street to Millennium Square where the Lord Mayor of Leeds and The Deputy Lieutenant, will take the salute. The parade will consist of 2 guards from 3 RIFLES, a guard from D (Rifles) Company 5RRF which will include the Doncaster Platoon, the Regimental Officer’s Club, the Regimental Association, E (Rifles) Coy ACF, Batley Grammar School CCF and The Rifles Band and Bugles. The parade will be followed by a Civic reception for those on parade and invited guests. “It is great to be able to welcome the Rifles Regiment to the city of Leeds at the end of June. “I am sure you are aware of the antecedent regiments, The King’s Own Yorkshire Light Infantry and The Light Infantry, and of the number of soldiers from Yorkshire who joined those regiments and who are now in The Rifles. “The KOYLI were granted the Freedom of Leeds on 20 Oct 1946. This was then conferred to The Rifles on 1 Aug 2008. Thank you to the good people of Leeds for allowing The Rifles, to exercise the Freedom of Leeds”. After the parade the Rifles Band and Bugles will perform at a Charity Concert on behalf of “Care for Casualties”, The Rifles Charity on the evening of Saturday 22 June 2013 at The Refectory, Leeds University. Tickets cost £15 per person and are available from: The Rifles Office Yorkshire Tel 01977 703181 or by e-mail at: DINF-RIFLES-RHQ-AOPontefract@mod.uk. 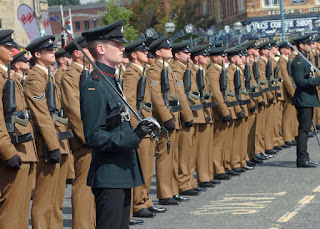 The Rifles is the biggest Regiment in the British Army. They consist of five regular and two territorial Battalions and three independent territorial sub units, including D Coy 5 RRF on parade today. The Rifles cap badge is worn by nearly 25 percent of all Army Cadet Force units (ACF).